Google rolled out today new security features for G Suite, its collection of enterprise, cloud computing, productivity, and collaboration tools. While several of the G Suite services received improvements, the most interesting additions have been made to Gmail for Business, the Google service that allows companies to use Gmail as their internal email service over a custom domain. 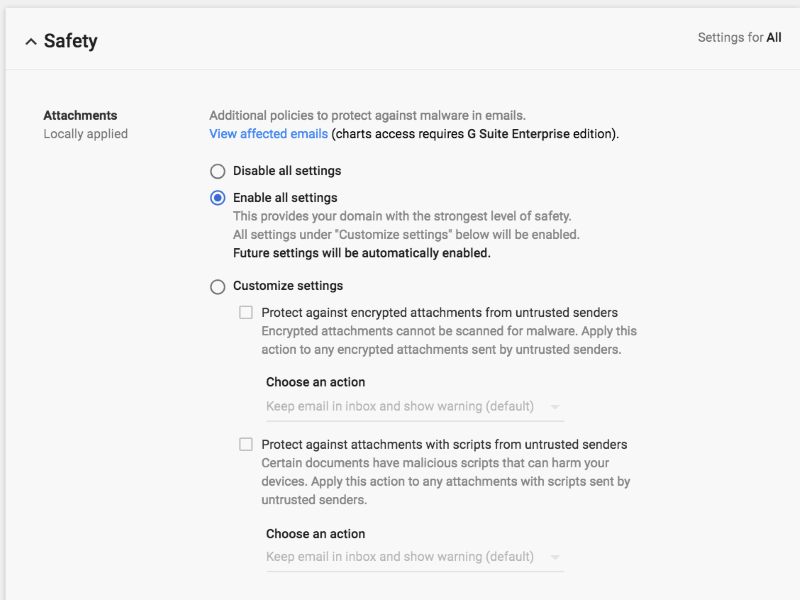 Starting today, G Suite admins can enable new AI-powered security features inside the G Suite backend. These features have been built to detect and alert users of emails carrying potential malware and emails that are part of spear-phishing attempts. 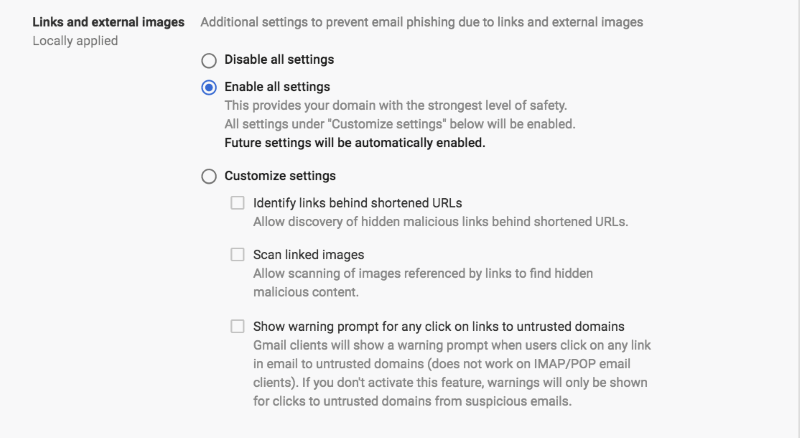 More specifically, Google will start flagging emails carrying encrypted files, scripting files, emails containing shortened URLs, and emails that appear to come from spoofed domains or using spoofed sender names. 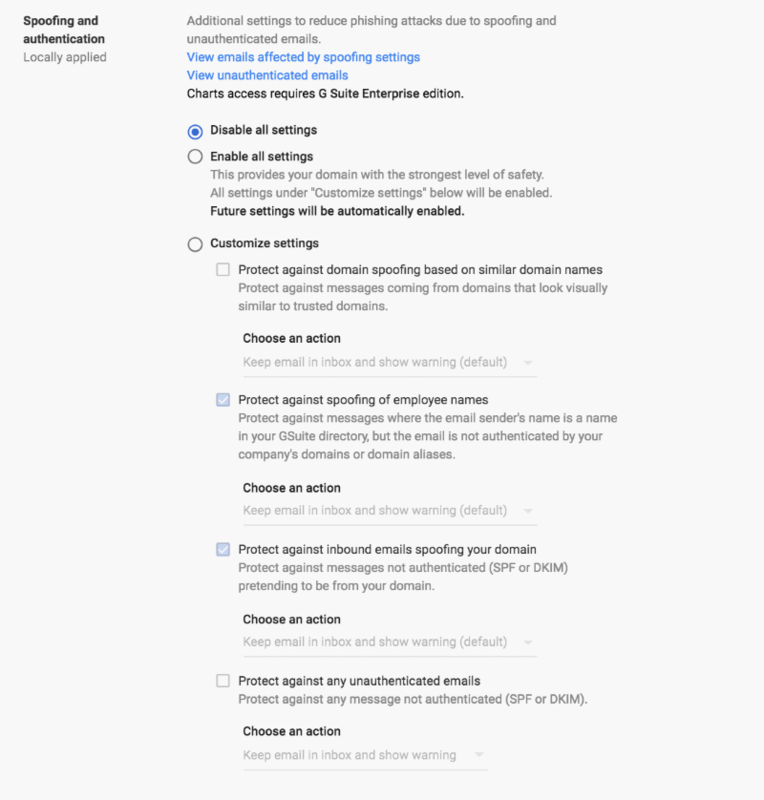 Here are the new features that G Suite admins can tweak in their Gmail control panels, complete with their location and a helpful image.